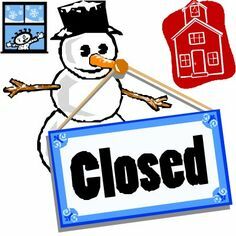 The school district’s Winter Break has officially arrived! Students will not have classes from Monday, December 24th through Friday, January 4, 2019. They will return to school Monday, January 7, 2019. Have a safe and enjoyable winter break! See you next year – January 7, 2019! In addition to the outstanding student holiday concerts that Bulldog families and friends have been enjoying in recent weeks, music could be heard throughout district school buildings on the final day before winter break as members of the OFHS band and choirs embarked on their annual holiday caroling tour! Students and staff members at the other school buildings enjoyed special performances by our talented high school musicians as they made their musical rounds! Olmsted Falls High School hosted its annual Local Scholarship Sponsor Appreciation Breakfast this month. The event annually thanks and shows appreciation to the more than 80 local individuals, families, businesses and organizations who contribute to the Local Scholarship program. 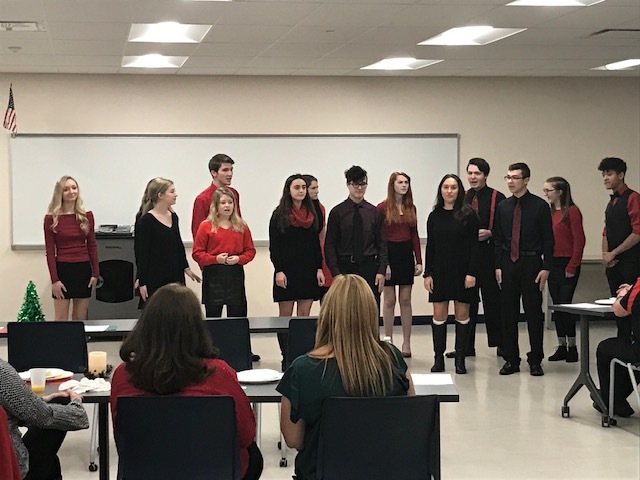 The morning also included a buffet breakfast and a special holiday performance that the talented Golden Expressions provided to those attending. New this year, student-led tours were offered to guests to provide an opportunity to see the high school’s newly renovated and expanded areas. Guests also viewed a series of video thank you messages from several Bulldog alumni who received generous scholarships last year. The collection of special video messages was put together by students in Mrs. Cleary’s Digital Marketing class. We thank the generous support of the more than 80 local individuals, families, businesses and organizations who provided more than 250 local scholarships to the Olmsted Falls Local Scholarship Program during last school year. More than $125,000 local scholarship funds were awarded to those in the OFHS Class of 2018. Thank you again to all of our 2018 local scholarship sponsors! Olmsted Falls School District sincerely appreciates your valuable contributions to our students’ futures! 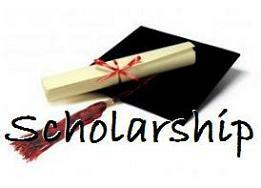 To learn more about becoming a sponsor in the 2019 OFHS Local Scholarship Program, please contact Sandy Smith at 427-6116. WCLV recently aired a special concert performance by the Baldwin Wallace University’s Men’s Chorus at the station’s Playhouse Square location. OFHS teacher John Mercer and OFHS guidance counselor Alex Lintner took 14 students on a field trip to Playhouse Square on Dec. 6 to enjoy the concert and other special activities as well. Mr. Mercer, Mr. Lintner and Greg Smith, a ninth grader, sing in the Baldwin Wallace College Men’s Chorus. The three were part of the live concert at Playhouse Square which took place and was broadcast live on WCLV during the field trip! Ideastream opened the concert to students and those who attended from OFHS were: Mason Adams, Justin Andrews, Te Ron Chapman, Colin Clark, Bradley Conner, Daniel Fidler, Jacob Honkomp, Samuel Katona, Shane Kiley, Hunter Livingston, John Munoz, Raymond Oster, Ethan Senal and Greg Smith. The students received a private tour of the WCLV studios, which WCLV President and co-founder – and Cleveland Arts Prize winner – Robert Conrad led. The concert, which was broadcast live on the WCLV Facebook page and live streaming, may also be viewed by clicking HERE. 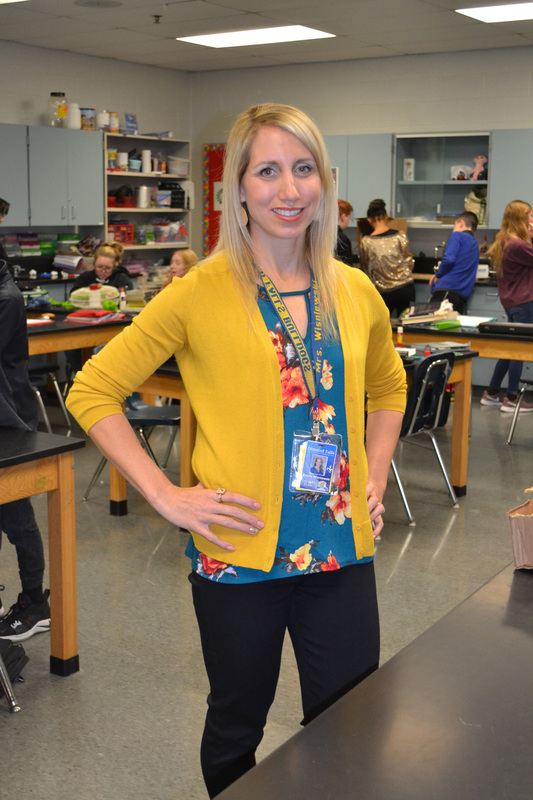 Olmsted Falls Middle School Polaris Project Lead the Way instructor Stacey Wisniewski was recently honored with the 2018-19 Outstanding PLTW Teacher Award. Wisniewski is a Polaris Career Center project Lead the Way teacher. She will be formally recognized at the 2019 Project Lead The Way Summit in Anaheim, California in February. This is the first time a Polaris teacher has received such an award. Wisniewski teaches two Polaris Project Lead the Way Gateway classes at OFMS: Medical Detectives and Design & Modeling. These classes introduce students to STEM career opportunities using engaging, real world classroom exercises. She also coaches the OFMS Skills USA competition students and is the staff advisor for the OFMS GEMS (Girls in Engineering, Math and Science) Club. The Outstanding PLTW Award honors teachers who deliver an inspiring and empowering student experience, expand access to PLTW programs in the school and in the community and transform the classroom using innovative, engaging teaching methods. Wisniewski is now eligible to be considered for the National Teacher of the Year award, which will be announced in the coming weeks. Project Lead the Way is a nonprofit organization that provides transformative learning experiences for PreK-12 students and teachers across the U.S.
Congratulations to Mrs. Wisniewski and best wishes in the possibility of being named the National Teacher of the Year! Bulldog country is rooting for you! Falls-Lenox School’s first-grade classes generously collected toys and gift items to donate to our local Christians in Action Giving Tree drive. The students’ kindness will allow the holidays to be a much brighter time for many local families. This drive was a great way for our little ones to experience the spirit of giving. Mrs. Brigid Radigan’s OFHS Parenting and Child Development class hosted a holiday party for ECC preschool students. The class wrote and illustrated children’s books, which were read to the students. The preschool students then participated in various fine motor, gross motor and sensory activities. Everyone enjoyed the activities! 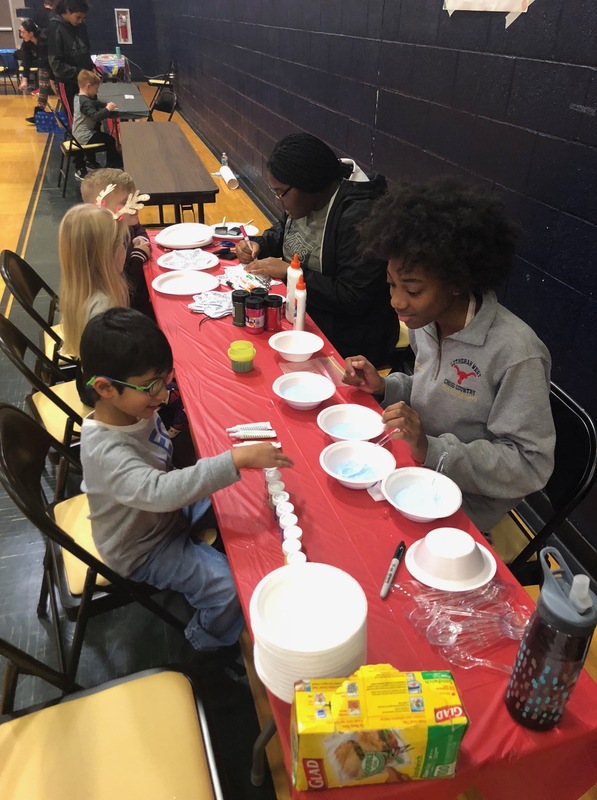 This special event was a great example of collaboration and student success – with our high school students and preschoolers both learning from the experience! 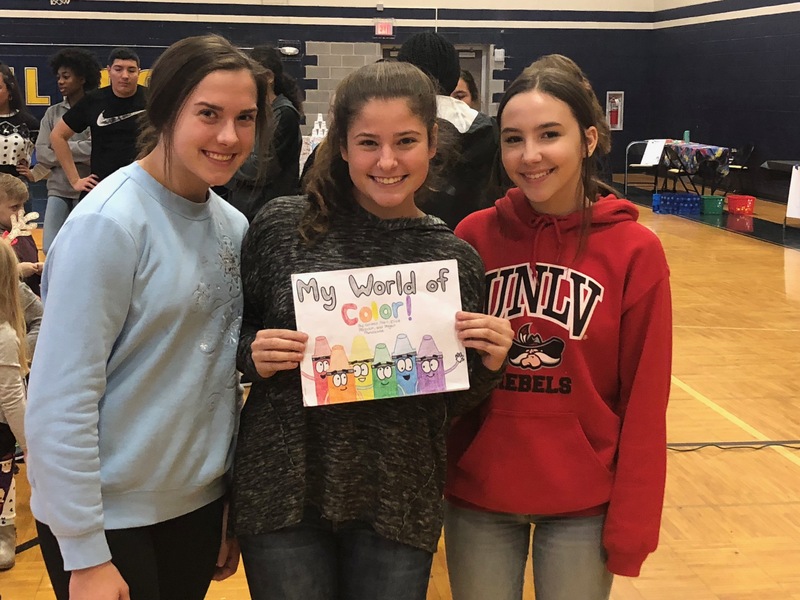 The December issue of the OFHS The Spotlight is available to read by clicking HERE. The school’s newspaper has articles that discusses daily announcements, the movie “Angst” that the district screened for the community, midterm tips and tricks, short highlights on winter athletes and others. Welcome home! 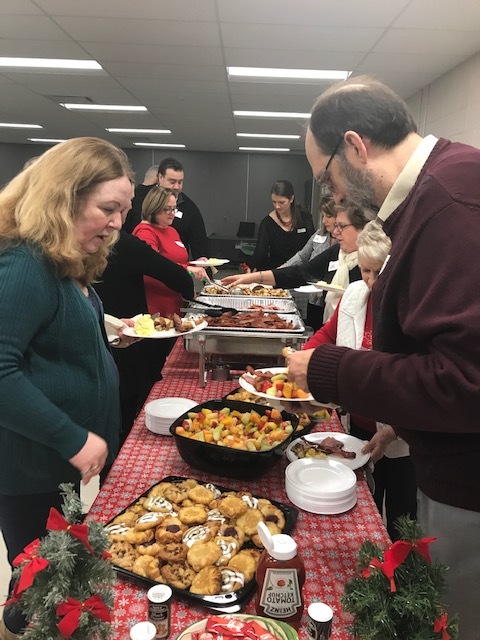 Olmsted Falls City Schools and the Olmsted Falls Alumni Association welcomed retired Bulldog staff members back to the district in early December for the Annual Retired Staff Holiday Luncheon at OFIS! Guests were treated to lunch and a holiday concert performed by the 5th grade choir! Thank you to Mrs. McClellan for organizing the show! OFIS Student Ambassadors also helped at the event by greeting and escorting guests in as well as assisting with lunch service! OFCS also hosted a group of retired staff members who returned to the district on December 19th for a special walking tour of the new OFHS renovations and expansions! the group enjoyed seeing all of the new spaces and improvements throughout the building! Thank you to our awesome OFHS Student Ambassadors who assisted with the tours. The Hour of Code is an international movement that takes place each year during Computer Science Education Week held the second week of December. The Hour Code encourages everyone to try their hand at Computer Programming for at least one hour. This year Olmsted Falls City Schools provided opportunities for students as well as parents to try their hand at computer programming. At OFIS and Falls Lenox students participated in computer programming activities during their weekly Technology class. The ECC and Middle School students also had an opportunity to participate in activities throughout the week. Read on to learn more. Click above to view a video from the Community Hour of Code event. Community Hour of Code: On Tuesday, December 5th the district hosted a community hour of code for students and their parents. Over 100 attendees (parents and students) heard from the district Technology Integration Specialists about shortage of Computer Science graduates and the abundance of jobs available in this field. Then students and parents had an opportunity to work together to complete online computer coding activities. Click HERE for the presentation. Hour of Code: On Wednesday, December 5th, Julie Mallory, OFCS parent and employee at Hyland software, spoke with students at the Middle School about the career opportunities available at Hyland as well as the many FREE computer programming camps and classes available for students. After the presentation Middle School students completed a variety of computer programming activities Click HERE for the presentation. It is never too early to start learning about computer programming. On Friday, December 7th the OFIS SWAT (Students Working to Advance Technology) spent the day at the ECC working with kindergarten students on computer programming activities. Even the youngest students were successful with a little help from their friends. Olmsted Falls City School District hosted the second meeting of the newly formed Southwest Regional Business Advisory Council at Olmsted Falls High School on December 7th. OFCS has partnered with Berea City Schools, Fairview Park City Schools, North Olmsted City Schools, Strongsville City Schools and Polaris Career Center to form the Southwest Regional Business Advisory Council. The new partnership includes representatives from each school district and Polaris Career Center as well as a broad cross-section of regional business and higher education leaders. The new advisory council will be meeting quarterly and collaboratively to exchange ideas and explore best practices in preparing students for the world beyond high school. Check out recent media coverage featured on Cleveland.com about Olmsted Falls High School’s Personal Finance Class. Click HERE to read local report John Benson’s story. Thank you to First Federal of Lakewood for partnering with OFHS to bring real world experience into the classroom! Olmsted Falls City School District has posted the district calendar for the 2019-2020 school year to the district website at www.ofcs.net. To view / download next year’s OFCS calendar for the 2019-2020 school year, please click HERE. To view / download the OFCS calendar for current 2018-2019 school year, please click HERE. The December issue of Musical Notes is available online by clicking HERE. 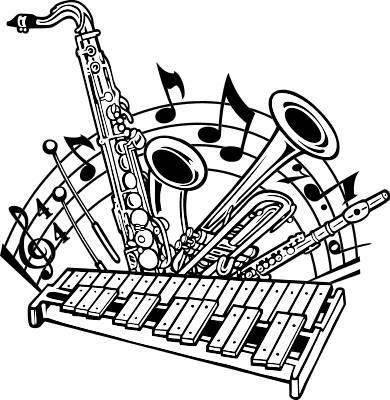 The Olmsted Falls Music Association creates this newsletter that contains information about school music programs, students and other related topics. The December newsletter includes times and dates of remaining school holiday concerts, supporting the organization by using Amazon Smile this season, a list of patrons and other information. The Olmsted Falls High School PTA offers many programs and events. The PTA also provides senior scholarships each year. This goal this year, and every year, is to provide 16 scholarships for graduating seniors. However, for students to be considered a recipient of a PTA-offered scholarships, their parent must be an OFHS PTA member for the 2018-2019 school year. Membership is $7 per person, with $2.25 going directly to our local PTA. The remaining $4.75 goes toward Ohio and National PTA fees. To complete a membership form, click HERE. Be a part of our outstanding Triple A school district! Work with great people and fantastic kids! Olmsted Falls Schools is currently looking for substitute paraprofessionals, cleaners, bus drivers and custodians to support our daily operational efforts in these important areas. Having dedicated substitute support staff is a critical component to our district’s success. New rates for substitute positions were approved at the December Board of Education Meeting. The new substitute rates can be viewed by clicking HERE. 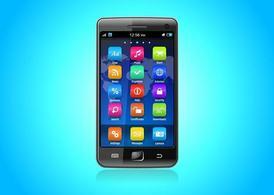 In order to keep our robotics and digital stations running, we are in need of old iPods and smartphones. If you have any old devices such as these, please consider donating them after you remove all locks and information from them. Donations may be dropped off at any school office. Thank you for your support! Help Olmsted Falls Music Association raise funds while dining from 4-8 p.m. December 29th at the North Ridgeville’s Chipotle eatery. Treat your family to a mid-winter break take-out night! Bring in the flyer found by clicking HERE, show it on your smart phone or tell the cashier you’re supporting the cause so 33 percent of your purchase is donated to OFMS. Please note online orders will NOT be included with this promotion. Also, please see the flyer for special procedures required if you are ordering catering or Burritos by the Box. Chipotle’s in North Ridgeville is at 32223 Lorain Road between Cook Road and I-480 on the east side of the street. The recent in-person Olmsted Falls Athletic Booster’s Annual Holiday Sportswear Sale was a huge success. 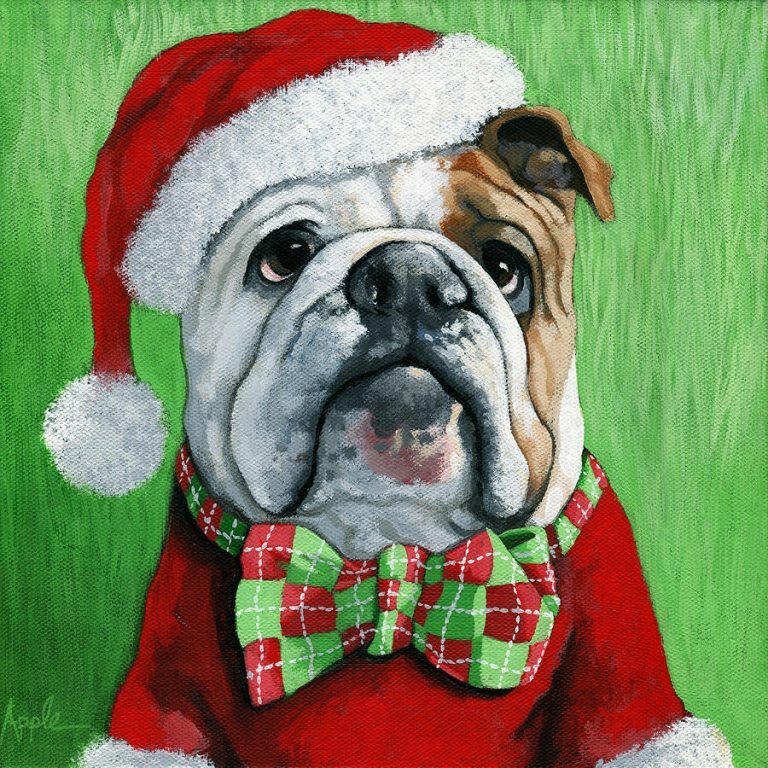 Thanks to all who supported it, including the many volunteers, cheerleaders, those who helped set up the sale and – most importantly – the Bulldog shoppers. Hopefully, many Bulldog shoppers were able to check off items on their holiday shopping list. We now have a new online store available through Ryco Sports that carries all our Bulldog apparel. Simply click HERE to visit the link for more details or stop by the store at 7072 Columbia Road in the Town and Country Plaza. We thank you for your continued support. 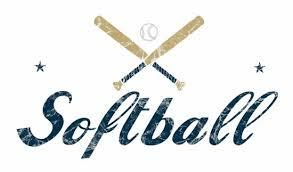 Do you have used sports equipment sitting in your garage or basement gathering dust? You could donate them to a good cause. 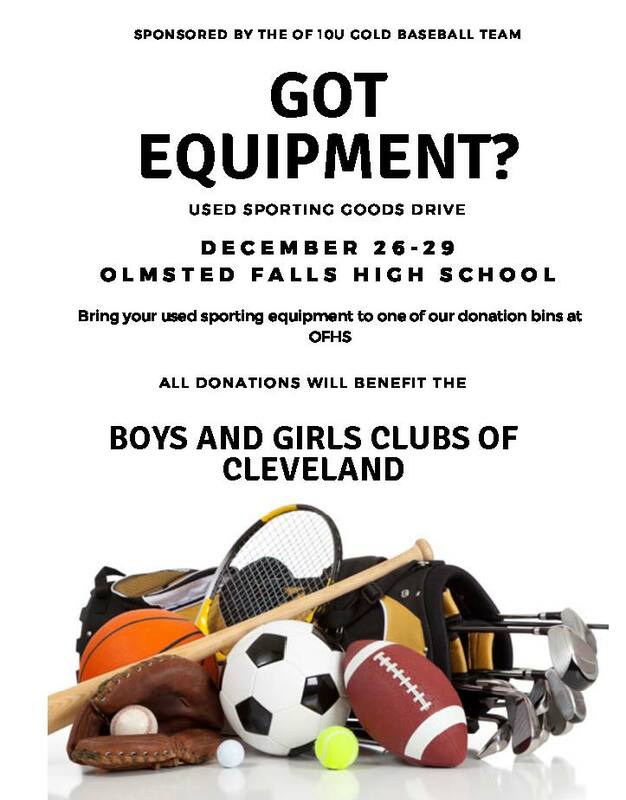 The Olmsted Falls Gold 10U Baseball Team will collect equipment near school entrances during the Bulldog Basketball Tournament December 26th-29th. All donations will go to the Boys and Girls Clubs of Cleveland. Anything you can contribute would be greatly appreciated. Looking for something for your child to do during winter break? Great Lakes Science Center is offering Camp Curiosity from December 26-28 and January 2-4. They include one-day science camps for students in grades K-8. For more details, go to GreatScience.com.